Summer is here, bright and hot. What better way to keep cool than to take to the water? Whitewater paddling is exciting, and more importantly, cool. 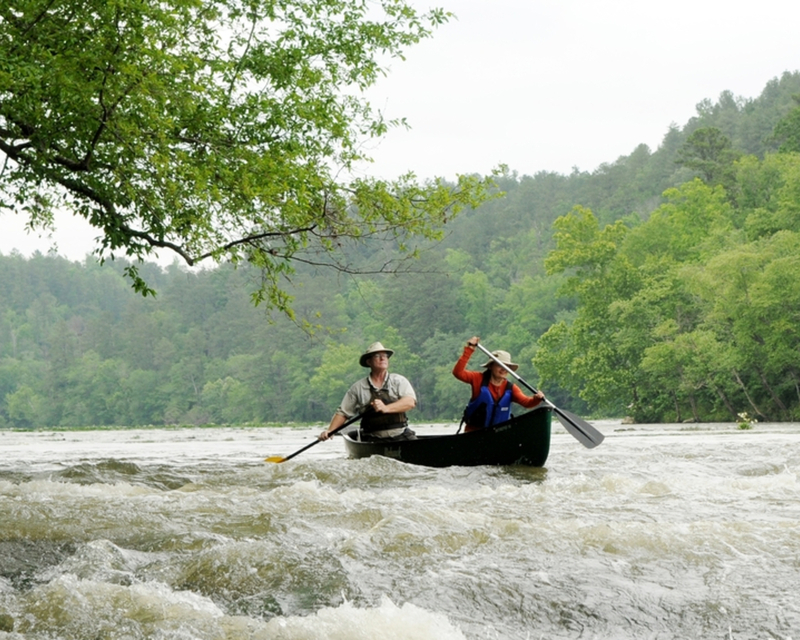 It may surprise you that Birmingham has many places to enjoy whitewater sports. 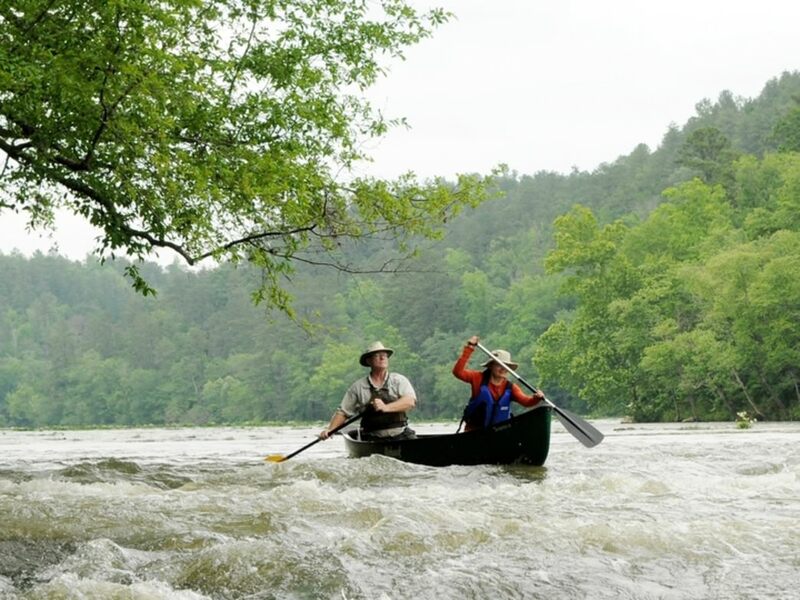 Kayaking, canoeing and rafting are enjoyed by so many in the Magic City area—clubs and groups offer weekend excursions as frequently as possible. Once you’ve experienced the thrill of being on the water, you’ll be back for more. Outdoor retailers such as Mountain High Outfitters will keep you fully equipped on supplies with associates that are more than willing to share tips and advice about how to keep safe on the water. Because whitewater sports involve some level of risk, safety is first priority. You’ll probably want to start with several lessons or guided trips such as Coosa River Adventures. Branch out by renting your own equipment at retailers such as Coosa Outdoor Center and going with friends. 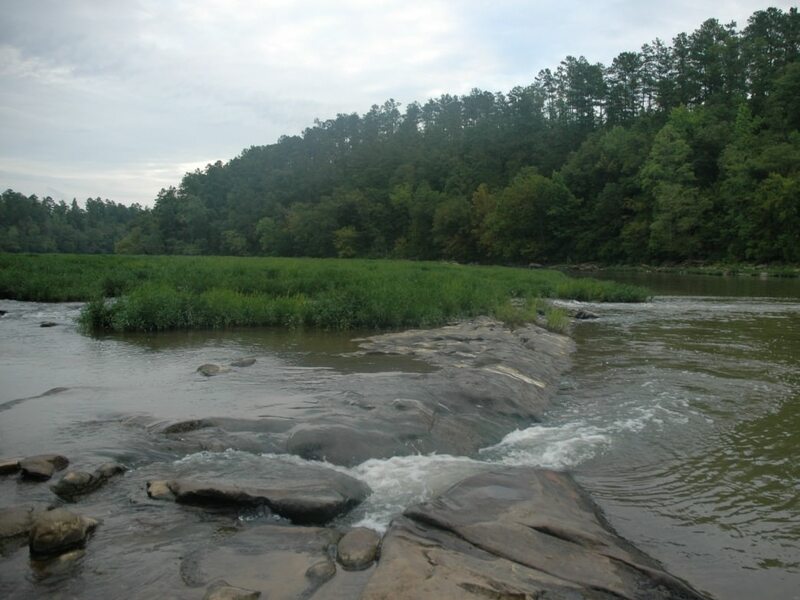 Turkey Creek flows through Turkey Creek Nature Preserve and is a convenient location to Birmingham. It is definitely a beginner creek, considered a Class I or II, but is a pretty waterway with limestone outcroppings. The put-in is at Hwy 79, and take-out is either at 1.3 miles at the wastewater treatment plant, or at 7.7 miles at Majestic Road. 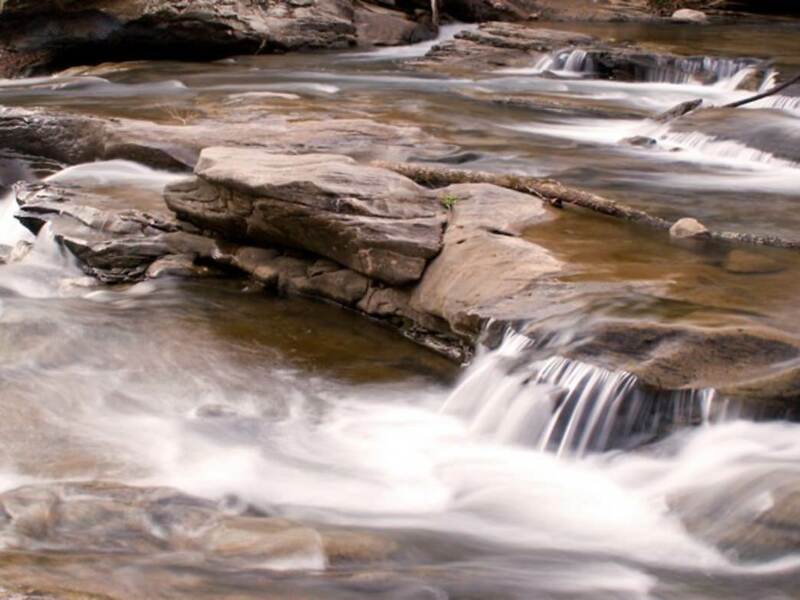 The Cahaba is a long river that flows through the Birmingham area with a wide variety of sections that gives this waterway a lot of personality. 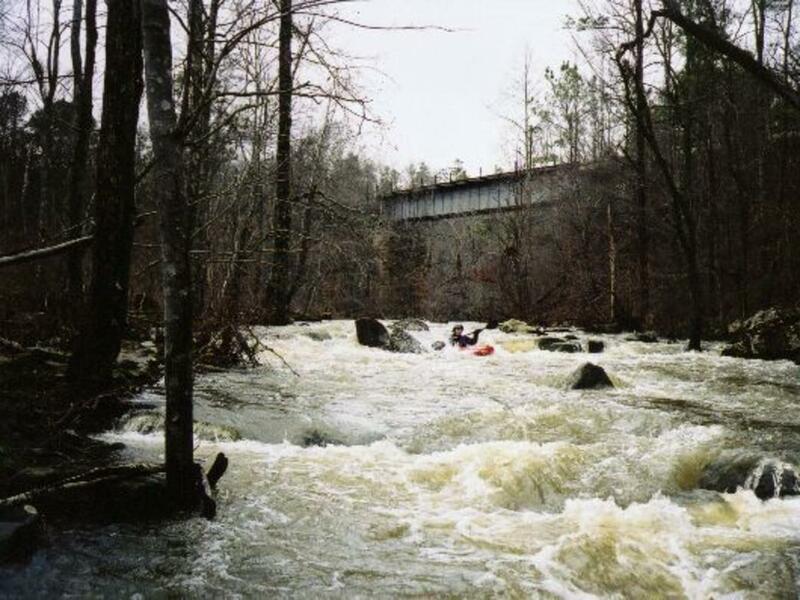 A great Class I-II whitewater section is between Lovick Bridge and Grants Mill Road. You need a good rain to navigate it in the summer months, as water levels can be low. Put-in can be a little muddy and tricky at Lovick Bridge, but take-out at Grants Mill Road is much easier with a gravel parking lot and ramp. For a little bit more of a challenge, Gurley Creek is a Class III that flows out of a series of lakes. For about 3.5 miles, the rapids are pleasant and easy to navigate. It is a fulfilling run for someone looking for a quick half-day of fun. Combined with a few other runs can make the perfect whitewater day. Put-in is on Narrows Road, and take-out is at SR-79. For a quick Class III run, you’ve got to give Kelly Creek a try. Just over a mile in length, this creek has a few rapids that could be considered a class IV. This would make a fun run when you’re tight on time. Put-in is at Hwy 78, and take-out is at Winnataska Drive. This section of Yellowleaf Creek is one that you’ll likely want to add to a series of runs, as it is only .5 mile or 1.5 miles, depending on where you take-out. Research well all of the drops for this creek. Although this is considered a class III +, there are some IV areas and drops worth noting so that it doesn’t take you by surprise. This creek is best after a fresh rain, because summer can lower the water levels significantly here. Put-in is at Old Highway 280 at Ivy Branch, and take-out is at a pull-off on Old Hwy 280. Brewer Creek is another short, quick run at a Class III, with a couple of IV areas. The length is 2.2 miles and is relatively calm waters. This is a great run through the woods in solitude, but watch out for possible logs. Put-in is on McPherson Road and take-out is on Warrior-Jasper Rd. Rice Creek is considered a class IV rapids, and is 6.4 miles long. The run is invigorating and fun, with incredible scenery. It is near Rickwood Caverns State Park, so plan to make a day of exploring the water and visiting the park and caverns. There are multiple put-in and take-out locations to allow for a customized trip, so be sure to take a look at a map to familiarize yourself with the creek.